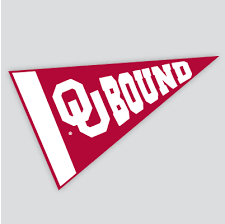 NORMAN, Okla. (AP) – The University of Oklahoma has announced a new program that will help pay students’ fees if they’re the recipients of the Oklahoma’s Promise scholarship. The Oklahoman reports that the new Crimson Commitment program will cover up to $8,000 worth of a student’s fees per year beginning in fall 2019. The university plans to invest more than $1.5 million annually into the program through federal, state and institutional aid sources. The program will operate in conjunction with the Oklahoma’s Promise scholarship, which is a state-funded program administered by the Oklahoma State Regents for Higher Education. About 2,000 OU students receive the scholarship, which covers tuition. Jeff Blahnik is the university’s associate provost for enrollment. He says the university wants to attract the best students without cost as a barrier.